Seashore Striders calendar (coastal Delaware), Annapolis Striders calendar (Annapolis area), Eastern Shore Running Club (Salisbury), TriSportsEvents (DE). BikeReg, Annapolis Bicycle Club ride calendar. Trifind (extensive listing by state), Virginia Maryland Triathlon Series, DQ Events (southern NJ), CityTri Events (southern NJ), Piranha Sports (DE and southern NJ), Setupevents (VA and NJ). 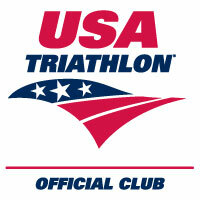 Talbot County Multi-Sport, Mid-Maryland Triathlon Club (extensive listing), DC Triathlon Club, Annapolis Triathlon Club, Baltimore Area Triathlon Club.